A really unique craft item! 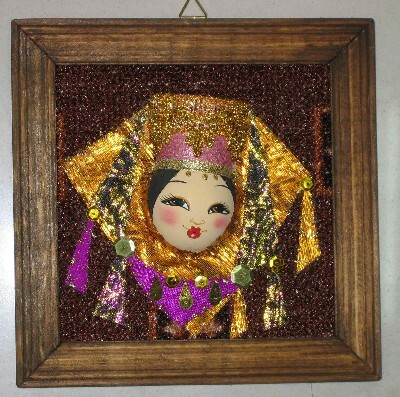 A Kazakh woman',s face mounted in a frame. This is about 6.5", x 6.5",.